Bottom Line: Enticing fresh-baked aromas and craveable cookie-like flavors will make this liqueur a smash hit at holiday festivities. 92 • Roaming Man Tennessee Straight Rye Whiskey 61.1% (USA) $49.99. 91 • Sugarlands Distilling Co. Appalachian Sippin’ Cream Dark Chocolate Coffee Liqueur 20% (USA) $25.00. 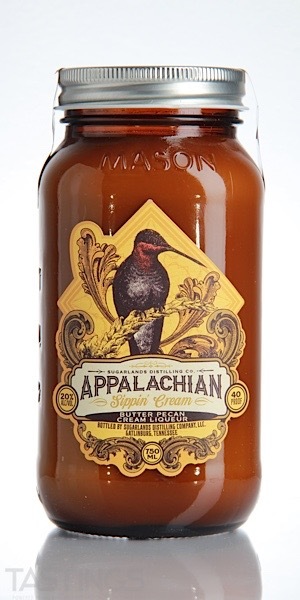 95 • Sugarlands Distilling Co. Appalachian Sippin’ Cream Butter Pecan Liqueur 20% (USA) $25.00. 86 • Sugarlands Distilling Co. Appalachian Sippin’ Cream Electric Orange Liqueur 20% (USA) $25.00. 92 • Sugarlands Distilling Co. Appalachian Sippin’ Cream Pumpkin Spice Latte Liqueur 20% (USA) $25.00. 86 • Sugarlands Distilling Co. Appalachian Sippin’ Cream Strawberry Dream Liqueur 20% (USA) $25.00. Cream Liqueur, quite simply is a liqueur that has dairy cream added to a liquor. 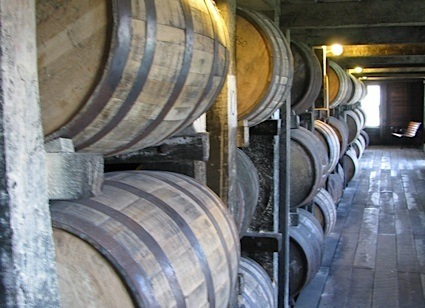 The most famous examples come from Ireland; they have a base of Irish whiskey; there are also version from Scotland, Canada, the US and several other countries. Most of these cream liqueurs are in the 14% to 17% alcoholic range and are medium-sweet with flavors such as nougat, praline and chocolate. Most are served over the rocks. The category took off in the 1970s and although not as wildly popular today, it has remained strong. Sugarlands Distilling Co. Appalachian Sippin’ Cream Butter Pecan Liqueur rating was calculated by tastings.com to be 95 points out of 100 on 8/21/2018. Please note that MSRP may have changed since the date of our review.